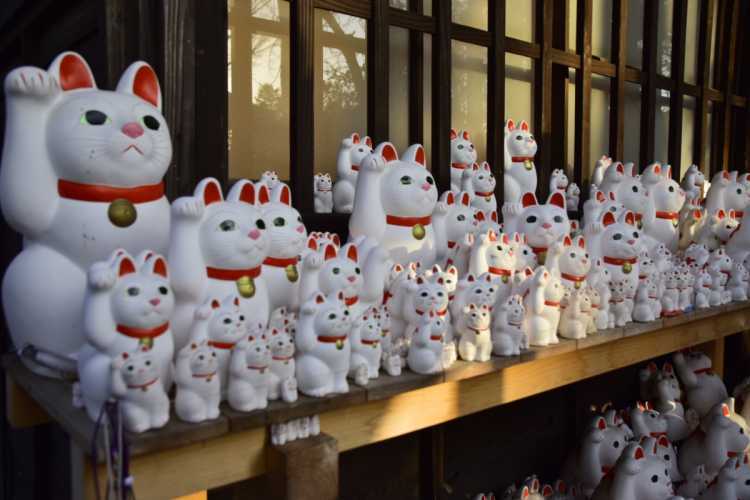 Gotokuji Temple is known as a birthplace of Beckoning Cat (Maneki-neko: cat ornament able to bring good lucks together). 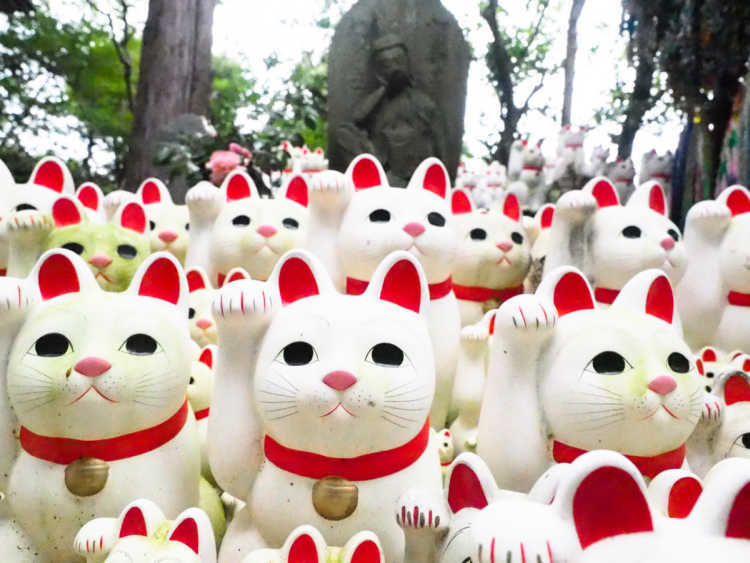 There're so many Beckoning Cats that had brought lucks and been dedicated back to the temple. I wonder how many lucks they brought! I think I can receive a share of happiness, and it's a must see spot for cat-loving people.◎You can buy Beckoning Cat at a temple office (9:00-17:00). And you're lucky if you can ride or see the Beckoning Cat Train of Tokyu Setagaya Line (nearest station: Miyanosaka), because there's only one train with a illustration of cat. 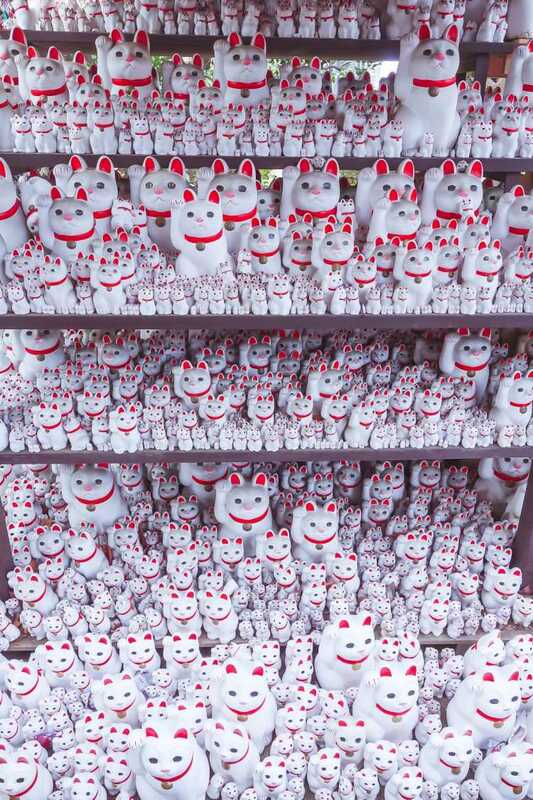 Gotokuji Temple, an originator of Beckoning Cat (Maneki Neko), has amazing scene of more than one thousand cats in various sizes! And it's also Hikone Clan's (old name of Shiga prefecture) Ii family temple. It's because Hikone has a cat character 'Hiko-nyan'.